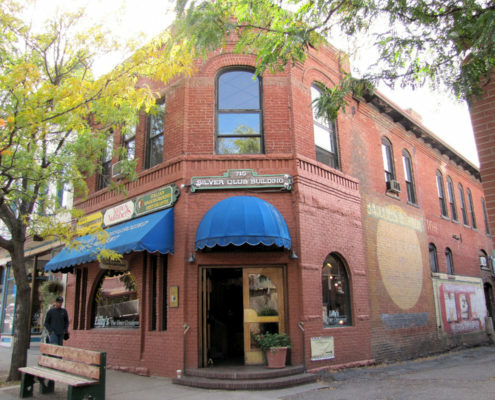 Located in the basement of the historic Silver Club Building, under the Grand Ave. bridge, sits the longest standing and best Italian restaurant in Glenwood Springs, Colorado. Established over 30 years ago, we continue to serve the same great appetizers, entrees and cocktails we did back in the beginning, while continuing the use of the freshest local ingredients we can find. We are proud to offer our delicious cuisine and friendly service all year long. We’re a favorite of locals and visitors alike so make it a point to stop by and grab a bite the next time your in the valley. We’re the perfect place for families, groups and couples with a warm, cozy and fun atmosphere. All our meals are served with our fresh baked Italian bread, a small fresh salad and a complimentary scoop of sherbert. All of this along with our sandstone walls and glowing underground ambiance, make us a must stop whenever you’re in the area. Come dine with us tonight and enjoy a taste of Glenwood Springs history!